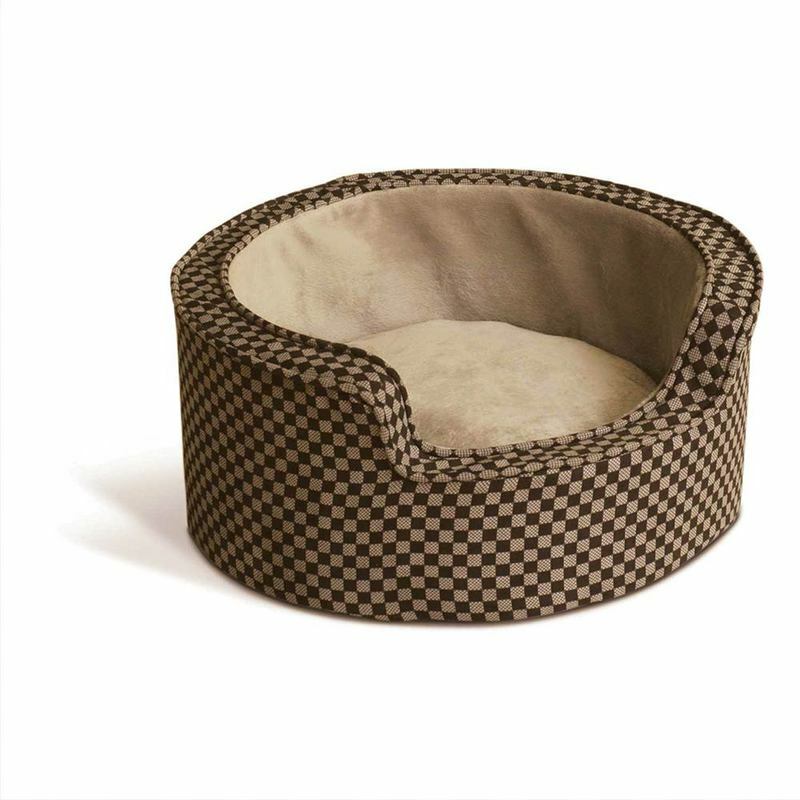 K&H Pet Products Round Comfy Sleeper Self-Warming Pet Bed Small Tan / Brown 18" x 18" x 8"
This bed was designed for the enjoyment of either a cat or a dog. Soft polyfill cushion is like sleeping on a cloud. 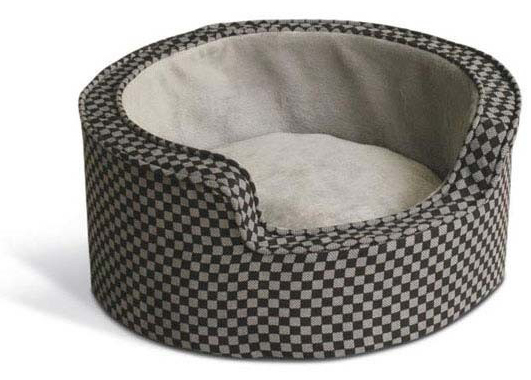 Designed for the pet that likes to curl up in a ball and enjoy a deep slumber. Self warming material radiates heat back to your pet. Pillow style cushion sleeping surface. Sleeping Dimensions: 14" x 14"
Dimensions: 18" x 18" x 8"
12" x 12" x 8"